Fitbit test - Heart rate above 160bpm. A simple Fitbit hack will earn you 300 Vitality rewards points from Discovery – for just over 1 minute of work. To get the same amount of points honestly you'd need to exercise for a minimum of 30 minutes and get to a maximum heart rate of at least 80%. Discovery didn't know about it, but says hacks like these are becoming fewer thanks to more reliable data-collecting devices. * Both Fitbit and Discovery Vitality have confirmed that the 'Fitbit pause hack' has been fixed. 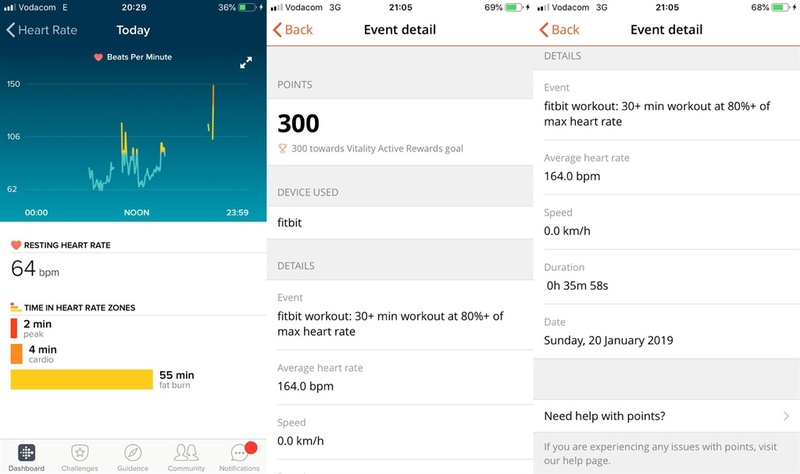 “Discovery Vitality has investigated the “Fitbit pause hack”, and can confirm that the issue was a data stream bug in the Vitality app which we have now resolved. Fitbit devices remain clinically relevant and verifiable sources of workout data to help make Vitality members become healthier," the companies released in statements. 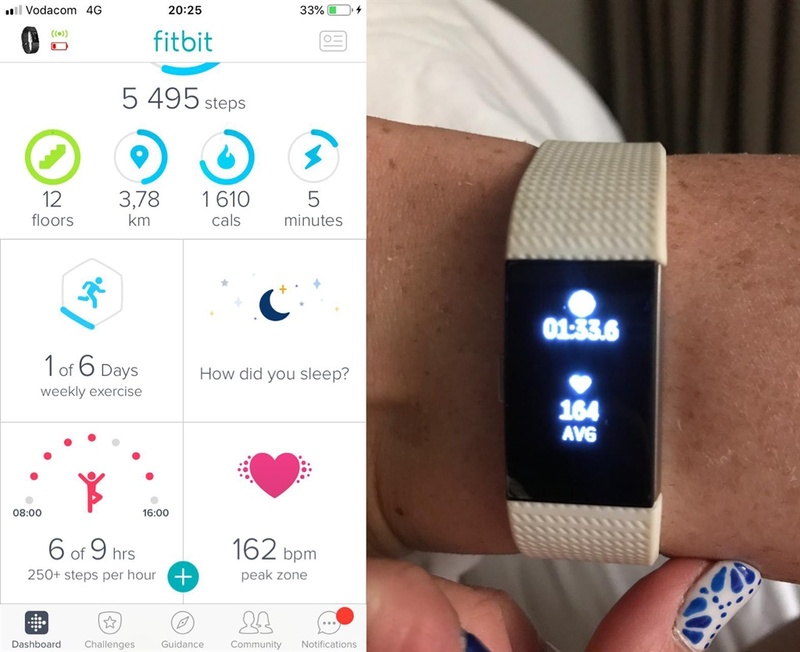 Business Insider South Africa can independently confirm the existence of a Fitbit-hack will earn you 300 Vitality rewards points from the Discovery scheme – for just over 1 minute of work. 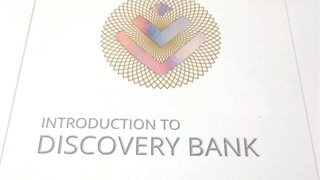 Discovery Vitality, South Africa's largest rewards-based health programme, requires users to log in workouts in order to receive rewards, using heart rate as a key measure. For most users the point system is capped at a weekly maximum of 900 points. Achieving your weekly goal gives you access to rewards like free smoothies, shopping vouchers, popcorn and charity donations – an incentive people are willing to sweat for. But you can simulate a 30-minute workout without actually doing that amount of work, our testing has shown. That could accidentally make it easier to achieve annual Gold status with higher rewards, or keep that Gold status for three consecutive years and so reach the Diamond Tier – with rewards like 35% off sports gear, flights, and hotel accommodation. 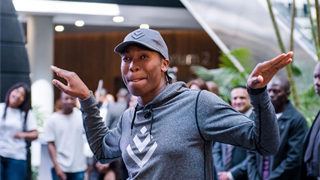 Business Insider spoke with Joe van Niekerk, COO of Discovery Vitality, and Dinesh Govender, CEO of Discovery Vitality who said that they listen closely to what members say on social media and are on the lookout for problems that come up with devices and the hacks. “It’s a continuous process. 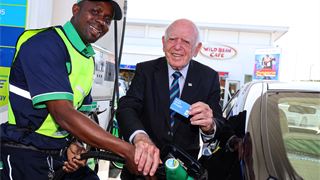 But we are working closely with manufacturers to maintain that the system works,” said van Niekerk. When people find a loophole, Discovery doesn’t take it lightly. In 2016 it struck apps RunKeeper, Strava, MapMyFitness, adidas miCoach, Moves, and Timex off an approved list as they were unable to either "distinguish between third party data or self-reported data, or utilise an unreliable integration", according to HTXT. “Since 2016, when we made that major shift toward manufacturers that could provide gathering reliable clinically-relevant data, these incidents have become the periphery of the system. In this case, it’s something we haven’t heard about, so we’re going to need to sit down with Fitbit and see where the problem is and experiment with it and how it affects the data stream,” said Govender. Discovery can use the data it gathers to pick on the trends if it knows what to look out for – which makes it very difficult to cheat. According to their numbers, a Discovery Vitality Gold member costs the Discovery medical scheme 80% less than a non-rewards member, which is another reason why Discovery Vitality announced it had rolled out exit scanning for leaving gyms to stop fake, no-exercise visits. This is what you need to know to not accidentally use this Fitbit hack to log Discovery Vitality points you didn't earn through exercise. Using a Fitbit Charge 2, we asked a tester to exercise and get a heart rate above 160 beats per minute. This puts them into a vigorous workout category, according to Vitality's score system, where they can earn 300 points for an exercise routine of longer than 30 minutes. After they hit that 160 mark, they paused their workout – and left the Fitbit running for over 30 minutes. During the time the Fitbit was paused the heart rate continued to drop. Sure enough, after a refresh, they earned 300 points for just over a minute of actual exercise. 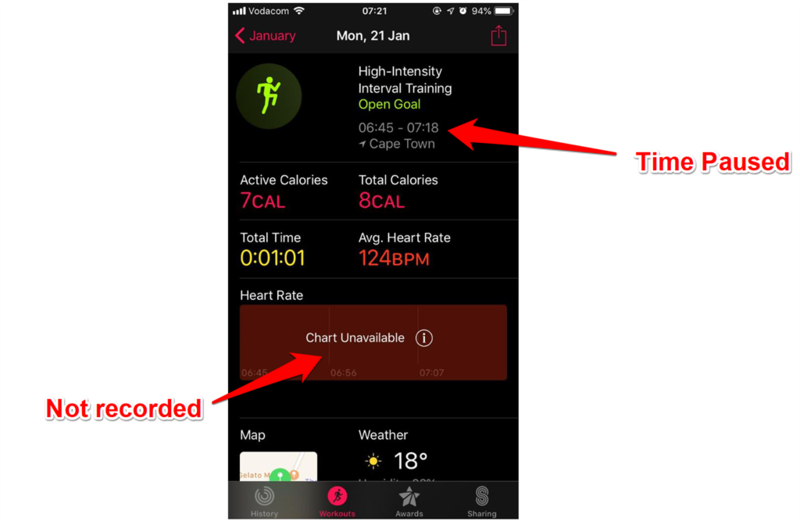 The Apple Watch did not register enough data for a heart rate. 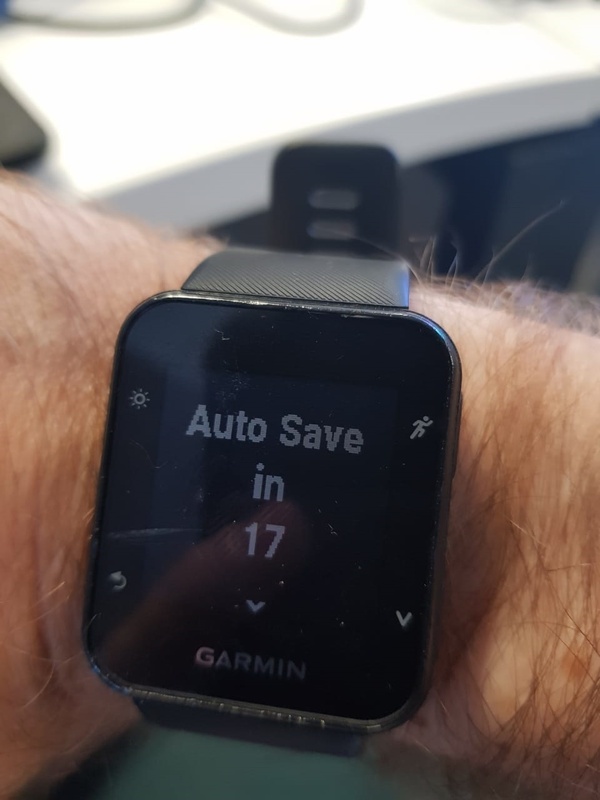 And a Garmin Forerunner 35 auto-saved the workout after 10 minutes. 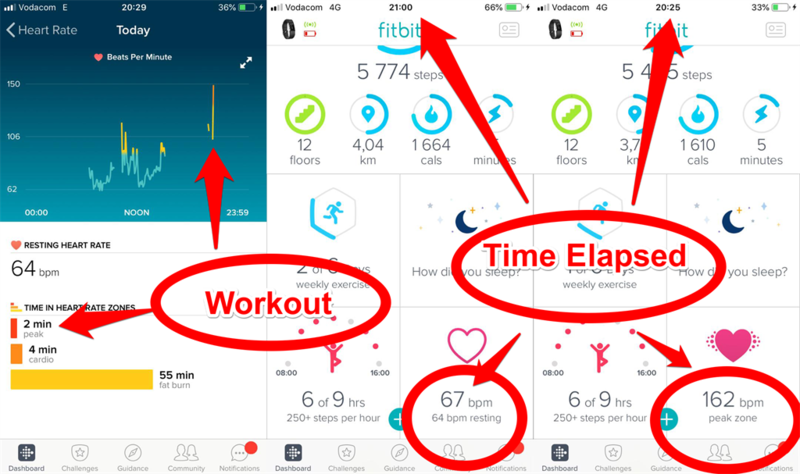 Conclusion: using the Fitbit "pause" function, you can reach your fitness goal with just three minutes of workout over three days. Chances are Discovery will pick up on it very quickly, though, so you want to avoid that.